Are you looking to update your home with a new splash of color? Spruce up your house by adding new colors and design to your living space. Certified Painting Professionals is your professional painter in Ballwin, MO. Furthermore, we can help you by adding a new splash of color to your walls, ceiling, fireplaces, shutters or repaint the outside of your home. In fact, by adding an entirely new color to your wall can make your home feel like an entirely new house. One of my favorite aspects of my job is seeing our customer’s expressions when they the colors they picked out painted on their wall. Generally, we have customers go the traditional route, choosing with natural colors to give the room a calm feeling and that’s OK. However, we do have some customers who use dark rich colors to give their home a more vibrant and bold feel. For the most part, we have seen a wide variety of colors and found you can paint your room light or dark, they always turn out exceptional. 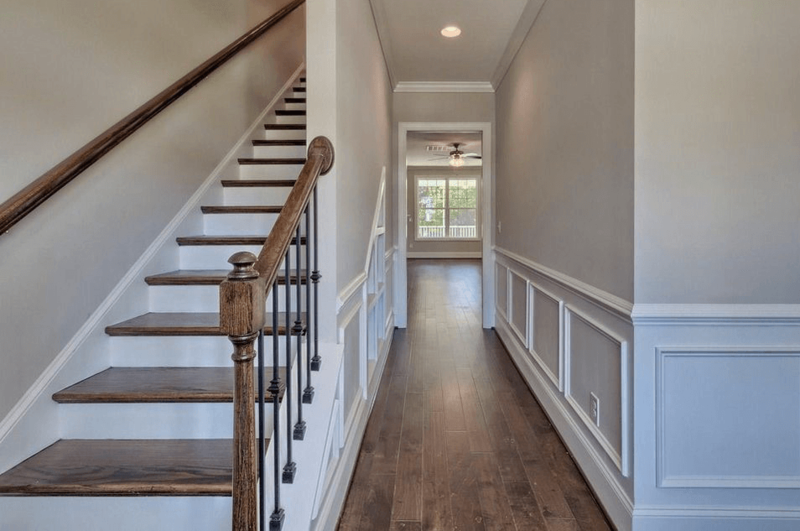 If you are looking for a professional painter in Ballwin Missouri then let our painting professionals reform your home into your dream house! Give us a call today for a free estimate at (618) 560-7030. There are different types of paint you can choose from and depending on the environment that you are going to be painting determines the kind of color that you should by. For example, if the area is in an area that will likely get wet, then it is essential to use semi-gloss paint. For more information on the different types of paint and their uses, please click here to view our featured blog. Flat: Flat paint is excellent for use on ceilings and walls. Generally, flat paint is for walls that have imperfections. Furthermore, it is suitable for rooms that have low humidity such as living room, bedrooms, and offices. Also, another benefit of flat paint is that it is easy to touch up. Eggshell: Eggshell is another type of paint that can be used to paint the interior of your home. Although Eggshell is a great paint to use it should be avoided in highly trafficked areas as it can be easily scuffed. such as kitchens, living rooms, bedrooms, and hallways. Semi-gloss: Semi-gloss paint is great for rooms that are likely to experience humidity such as bathrooms, kitchen or saunas. Semi-gloss is resistant to moisture but is a bit more difficult to touch up. Gloss: Gloss will show imperfections on walls and ceilings, therefore, rarely used for that purpose. However, Gloss is excellent for woodwork, trim and baseboards. Similar to semi-gloss, gloss paint is difficult to touch up. Below are the Most Common Painting Services for Ballwin Missouri. Certified Painting Professionals is experienced in exterior painting as we have done homes, doors, shutters and garages. We have painted on several different kinds of textures from stucco to wood with a wide range of colors. Some of our customers go the more traditional route and stick with light tans, greens and pinks while others go bold with dark blues, reds and oranges. Each individual has their own preference on the style and overall look they want from their own. We love providing our customers with the opportunity to turn their vision into reality. 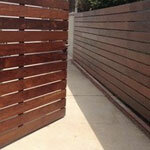 Certified Painting Professionals paints and stains fences in the Ballwin, MO area. Most of our clients prefer to have their fences painted, although we do get the occasional individual who will like to have their fence stained. Rather you are looking to get your fence painted or stained, we are happy to help you. Wanting to spruce up your garage or unfinished basement? Painting concrete is an easy and affordable way to touch up any room. 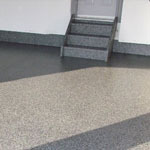 Furthermore, we also do patio’s, driveways and sidewalks. Hallways are one of the easiest areas in the house to get dirty.Furthermore, hallways are one of the busiest areas in the home and tends to show the most ‘wear and tear’ in the house. The hallways is an area many people pass and has a tendency of getting touched more frequently than other areas of the house allowing for dirt build-up. Since hallways are a high trafficked area also causes scuffs and other marks from backpacks, laptops, or from moving furniture.